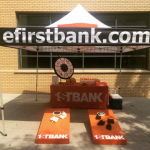 When: Friday, May 26 from 10 a.m. – 1 p.m.
Freebies: Coffee, donuts, FirstBank swag and a chance to win a $25 gift card to Amazon. Representatives from our CSA department will be answering questions and providing key information, so if you’re interested in a 529 account, stop by to see us! Seven Reasons Why Should You Open a 529 Account with FirstBank? The CollegeInvest Smart Choice College Savings Plan, commonly referred to as a 529 account, is a valuable tool to help you save money for college. You can open a CollegeInvest Smart Choice College Savings Plan online with FirstBank in less than five minutes here. But why should you open one? $50 Promotion: FirstBank will give you $50 for college when you open a FirstBank 529 account with a minimum of $50 and setup automatic transfers into the account. 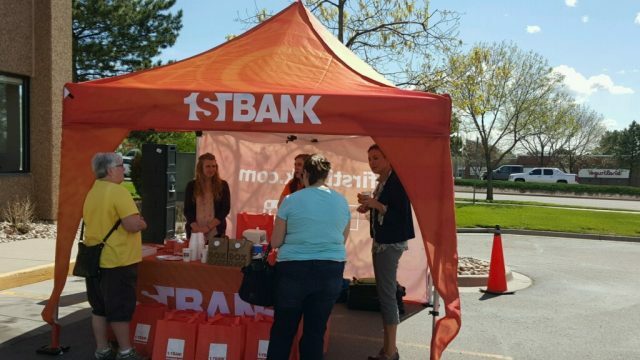 FDIC Insured: The FirstBank Smart Choice College Savings Plan is the only 529 plan in Colorado that is FDIC insured. Flexibility: FirstBank offers two different types of Smart Choice College Savings Plans: a Money Market Savings account and a 1-Year Time Savings account.The Money Market option is a liquid account that allows deposits and withdrawals at any time.1-Year Time Savings option is a time account that offers low-risk investment opportunities and higher interest rates by locking in your deposits for a specified period of time (1 year). Deposit can be made to the 1-Year Time Savings account at any time, without extending the account’s maturity. 529 Scholarships: Our college savings partner, CollegeInvest, offers a 529 Scholarship. The CollegeInvest 529 Scholarship is designed to award scholarships to Colorado families who have saved for college, but still need assistance and are not Pell eligible. Each eligible student is awarded $2,000 per school year, up to $8,000 over 4 years. They also offer a Matching Grant program, which is designed to help middle to low-income families save money for a higher education. Their Matching Grant program matches dollar-for-dollar up to $2,500 saved over five years. College is Expensive: The earlier you start saving for college means more time to allow your savings to work for you. The annual cost of 4-years of tuition, fees, and room & board is continuously on the rise according to College Board’s Trends in College Pricing. The Cost of Waiting: The longer you wait, the more difficult it can be to pay for college. CollegeInvest has two handy calculators, powered by Vanguard, on their website. One is the Cost of College Calculator and the other is the College Savings Planner. Check out these calculators to better understand your scenario. Please consult your tax advisor regarding potential tax benefits. All information provided here is intended as a convenient source of information. The information is general in nature, is not complete, and may not apply to your specific situation.